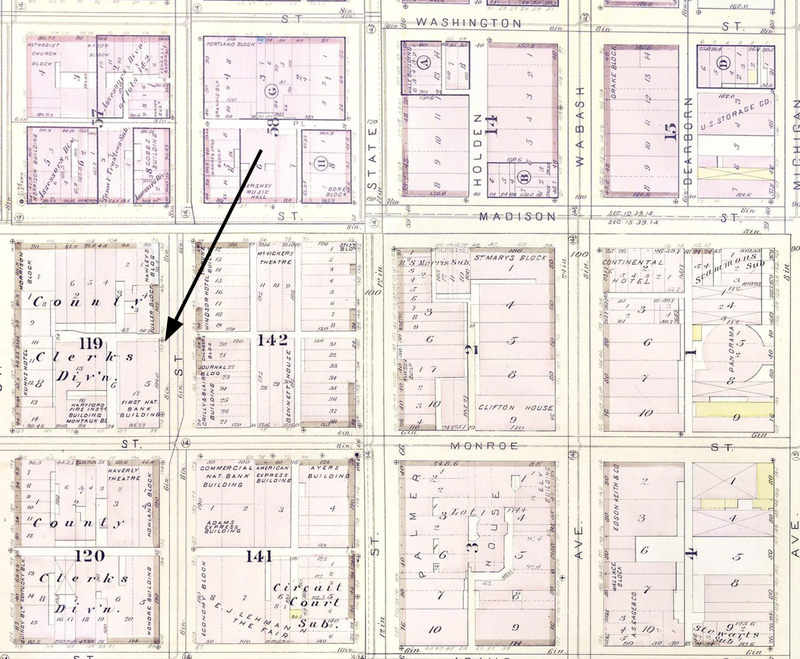 At the northwest corner of Dearborn and Monroe streets, occupies the site of the old Post Office Building. The building offers a spectacle of handsome proportions, combining strength, durability, and great size. It is surrounded on all sides with light and air. 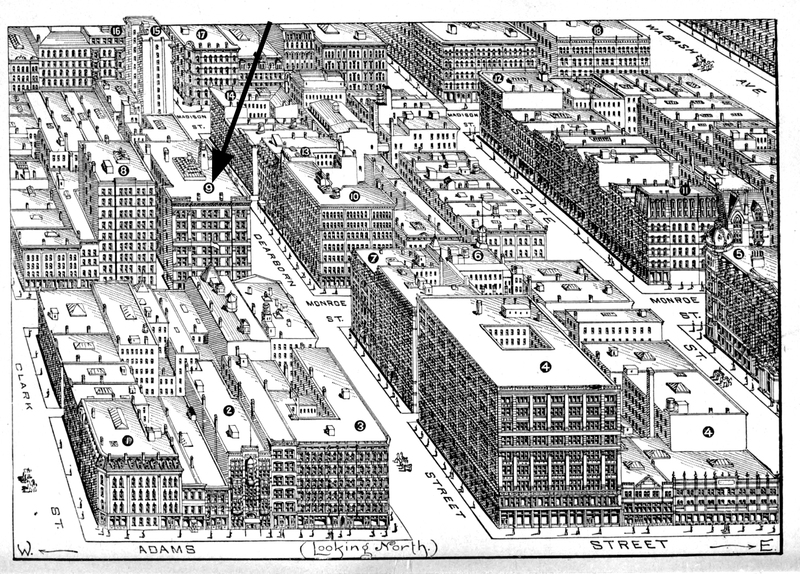 Dimensions: On Dearborn Street, 192 feet to alley; on Monroe Street, 96 feet to alley; 100 feet high, with 6 stories and high basement. There are 3 elevators and 100 offices. It was erected in 1880, and is described among our notable high buildings. The bank inside is a fine sight. The remainder of the building is occupied by corporations, attorneys, leading real-estate operators, promoters, and financial men generally. 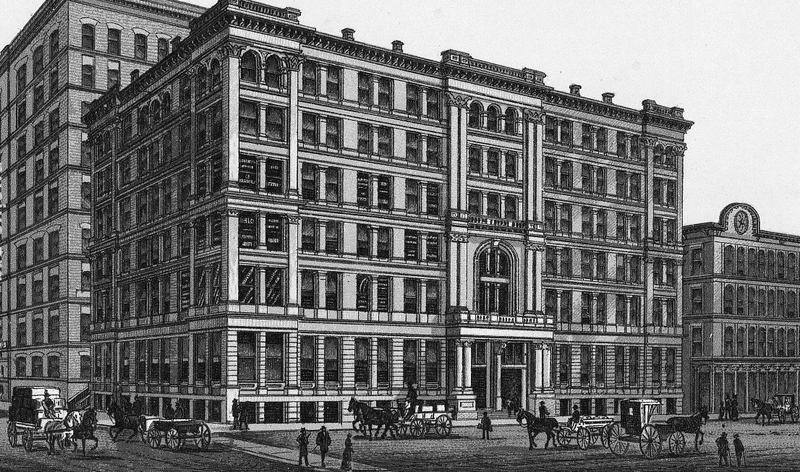 This building- was erected on the site of the old Post Office and Custom House, destroyed by fire in 1871. 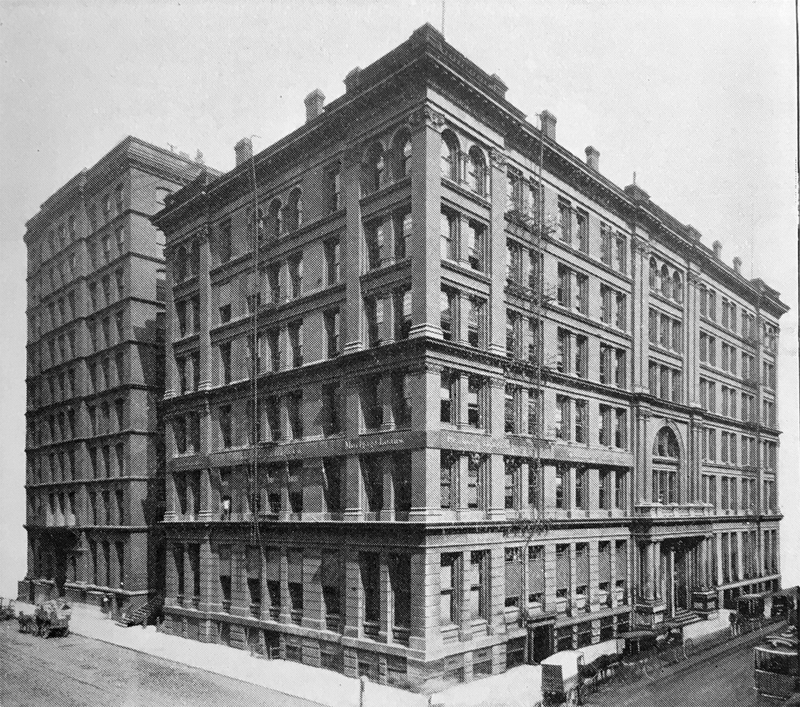 After the fire the ruin was transformed into the Adelphi, afterward Haverly’s Theatre. 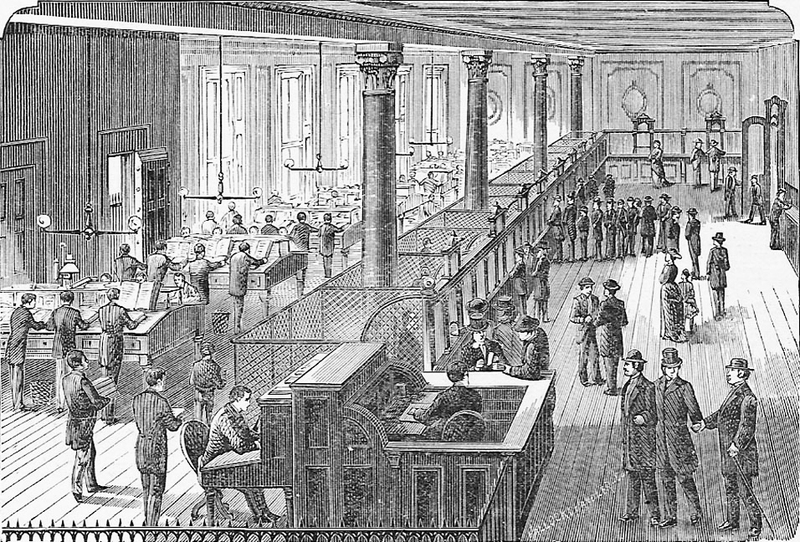 The First National Bank secured a lease of the ground from the School Board, and erected a $500,000 block upon it in 1882. The bank pays 6 per cent, on the value of the property. The building is six stories high, and is one of the most substantial structures in the country. 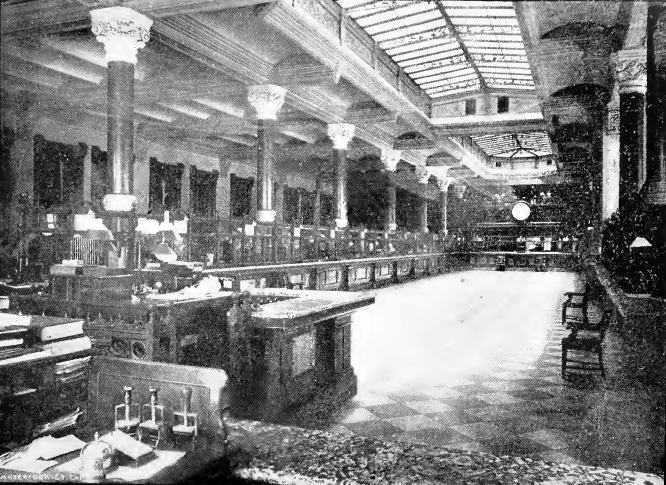 The entire first floor is used by the bank, and is said to be the finest and largest banking room in the world. them out one must visit the bank with that sole object. Have a bronze lion head and two scotches that are Bronsze also from old building torn down. Are they what held the clock?